Surround your child in an adorable peaceful environment full of cozy deer and beautiful trees with Sleeping in the Woods. This removable wallpaper mixes a country setting with a minimal Scandinavian style that works for both a nursery or adult environment. 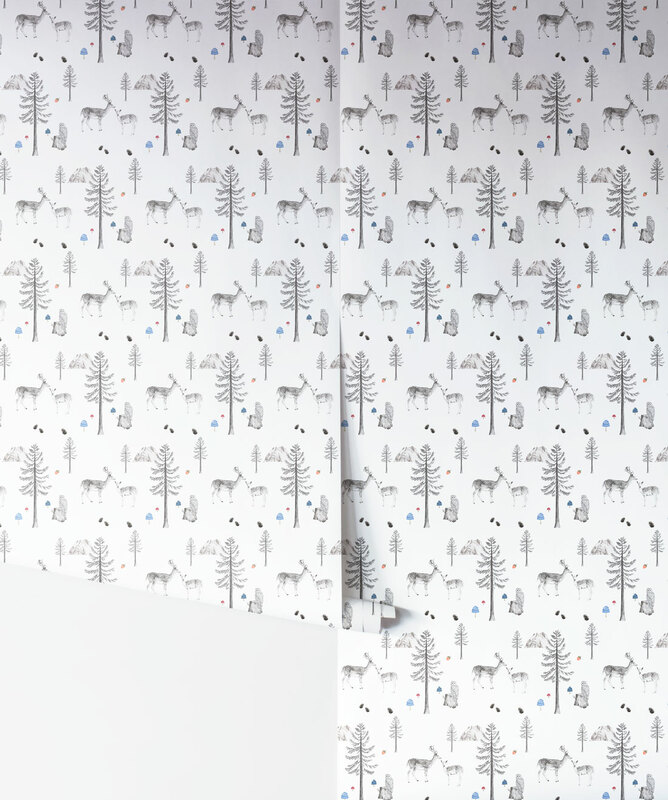 The calming peel and stick wallpaper is peaceful to gaze at, and gives any room an instant warm, comfortable feeling. This black and white design coordinates beautifully with other colors, or you can stick with black and white for something more modern. This is an easy to remove wallpaper leaving no mess behind. Love Mae is an Australian creative studio that designs and brings to life gorgeous children’s wall coverings. A collection inspired by beauty, love and wonder. 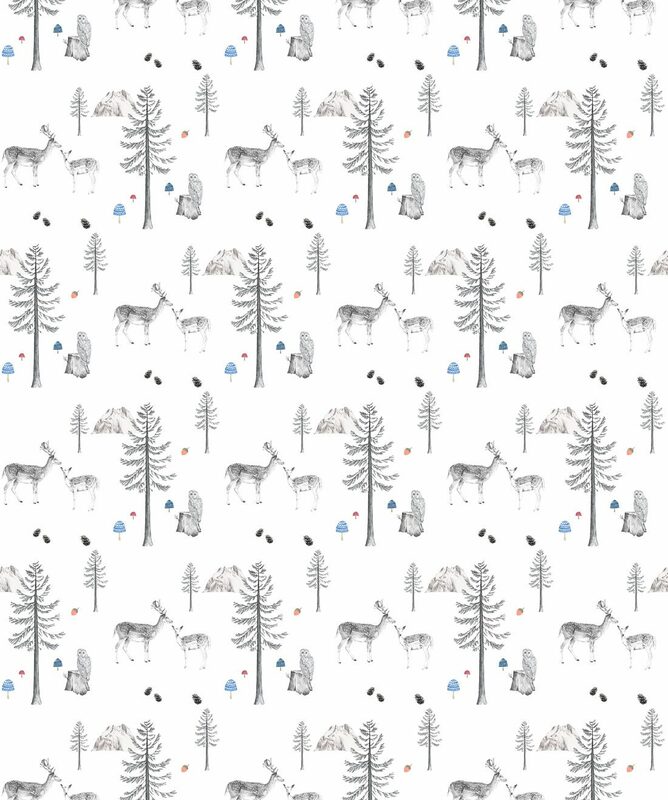 Wallpapers perfect for a little boy or girl's room. Nestled in the coastal hills of Northern NSW Australia, Love Mae believes in a quality product that not only has a purpose but that is so very pleasing to the eye, it enhances your home and sometimes even your spirit. 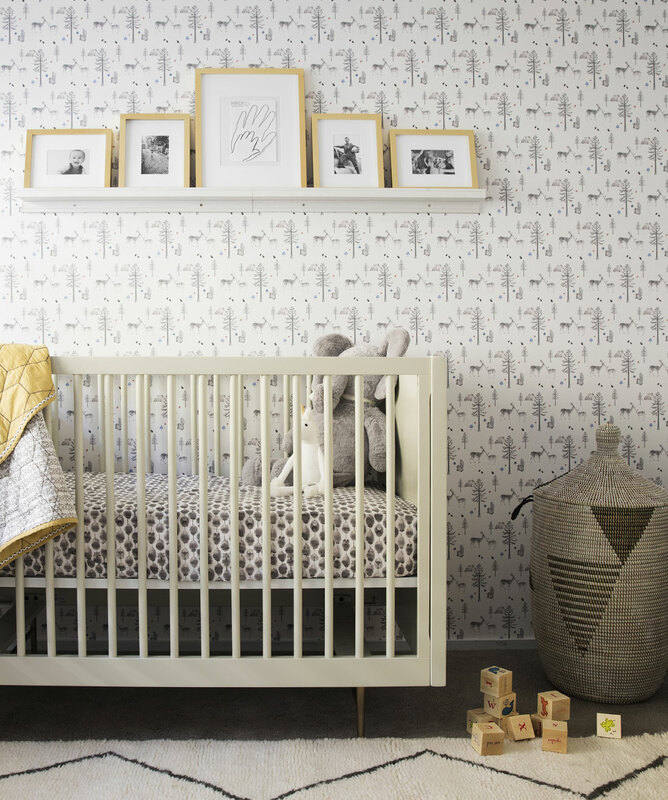 When planning a nursery, it is important to find a color scheme that also provides the right balance of stimulation and relaxation to allow for a restful sleep space. Love Mae's pastel color palette is subtle and soothing on the eyes. The perfect kind of environment to more easily lull baby off to sleep. A nursery can pull off more whimsy than most other rooms. Find a fun pattern and paper the entire room or just one wall. Build on the pattern by adding complementary colous or art. 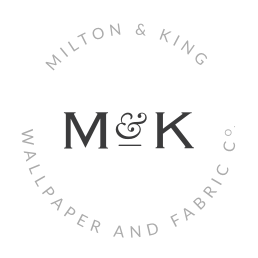 From polka dots to cute florals and pastel chevrons, this designer range of children's wallpapers will create a delightful space for you and your child.  Love Mae are lovers of what they do and hope that you feel this through their color palette, quality and environmental decisions. Love a little bit more passionately, live a little more recklessly and nurture a little more deeply.